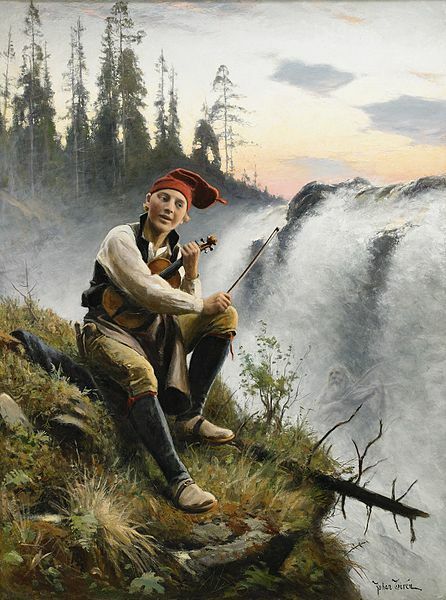 Below is a list of 10 mythical beings from the Scandinavian folklore that you should know. These fictional characters are part of the Norse mythology and have been described in many texts since Ancient times. The first denomination of some mythological creatures below will be given in Old Norse, followed by the modern counterparts in several North Germanic languages (i.e. Danish, Norwegian, Swedish, Icelandic and Faroese). The Draugr is said to be a wild-looking undead creature that torments those who have either wronged him during their lifetime, or those who incidentally/accidentally stumbled upon a treasure that was buried beneath the surface of the earth. These revenants recurrently appear in Icelandic folktales and are also described in several sagas, most notably in that of the people of Eyri and in the Grettis saga. They are sometimes referred to as ‘sea trolls’. Tales of trolls abound in Scandinavian folklore since Ancient times. They are wicked beings and tricksters who are reputed for dwelling down in the mountainous caves or underground tunnels and are very rarely helpful to humans. Huldra is a feminine mythical being who is renowned for her grace and beauty. She dwells into the mines and caves near deep forests and is said to lure men into endless labyrinths of underground tunnels. They can also lure men into forests where they will become lost, afterwards stealing their mortal souls. She is also referred to as the ‘lady of the forests’. They are often described as gracious feminine beings with a long cow-like tail. They can lose their beautiful physical appearance if they are convinced to marry a mortal in a church. They recurrently appear in Norwegian and Swedish folktales. In the Swedish folktales they are sometimes referred to as Skogsrå (the living spirit of the forests). The Nisse is a mythological creature that is associated with winter and the winter holidays (Christmas/Yuletide). 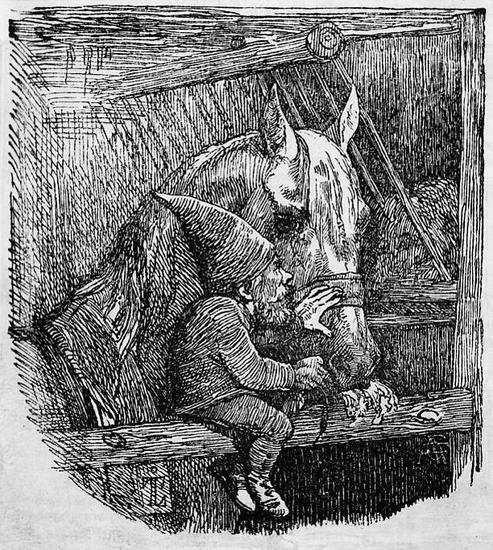 These friendly little elfs/goblins have been generally portrayed as short white-bearded gift-bearers who wear bright-coloured conical hats (often red ones). In some 18th century accounts as well as in several other folk tales, they were described as the spirits of the farms who were either helping or teasing farmers, depending on how they were treated. To some extent, they might be regarded as the Scandinavian counterparts of Santa Claus in Norwegian, Swedish, and Danish folklores, yet it’s not exactly the same thing. The Kraken is a gigantic octopus that is said to dwell nearby the coastal parts of Norway or Greenland. The English word ‘kraken’ was borrowed from Norwegian. These giant squids are mentioned in a 13th century Icelandic manuscript entitled ‘Örvar-Oddr’ (meaning ‘Arrow’s point’ in both Old Norse and Icelandic). In this medieval account, the protagonist is heading with his ship for Helluland (modern day Baffin Island, Canada) on the Greenland Sea where he and his crew spotted two enormous maritime creatures named Hafgufa (‘sea mist’) and Lyngbakr (‘heather-back’). The Dwarves are said to dwell into Svartalfheim/Niðavellir, a mythical realm that no mortal has access to. They are famous for being skilled blacksmiths and magicians. Interestingly, they became even more famous thanks to J.R.R. Tolkien’s literary creations such as ‘The Lord of the Rings’ trilogy and ‘The Hobbit’. They are often described as quite short in stature and with long white beards. For some reasons, they are also said to have mainly avoided exposure to sunlight. The Valkyries are 12 brave female warriors in the Norse mythology. They are the ones who decide who must go to Valhalla after the end of a battle. The warriors who have fought with courage and ambition on the battlefield are the ones ultimately selected by the Valkyries to dine and fight for eternity with the gods in Valhalla. The Elves are sometimes portrayed as female beings who live in forests, meadows, and mires. In most of the cases, they are harmless to humans and can even help them, but they can also cause them illnesses. Physically, they are seductive and gorgeous fairies or even full-sized women (brighter and more beautiful than the sun, according to the legends). However, they are also masters in regards to magic and illusions. The Nokken are the evil spirits of the lakes. They can embody both female-looking and male-looking beings and can be very dangerous for mere mortal wanderers in forests. They are broader known in the Germanic mythology as ‘Nix’. They are said to be skilled violin players whom talent can lure humans near the fresh bodies of water in which they lay hidden until they steal their souls forever. In Icelandic folktales and in the Orkneys, the Nokken is also referred to as ‘Nykur’, ‘Nennir’, or ‘Nuggle’ (the latter only in the case of the Orkney Islands), which is a horselike being of the lakes, streams, and the ocean. Very much unlike the Nokken, the Grim (also known as Fossegrim) are quite peaceful water spirits who may even be helpful in their relationship with human beings if they are given a stolen piece of meat. They are tremendously talented fiddle players and are said to sit in waterfalls performing enchanting music. I’d love to read up on all these stories. Where do I start?! The Dwarves were from Svartalheim, not Midgard. Midgard was the realm of man, ie: where we live. Thank you for reading The Dockyards and many thanks for pointing out the respective mistake. It has just been corrected. Far more fascinating than that rubbish we’ve had forced on us about some non existent man who walked on water and wanted us to drink his blood/ wine! Thanks for this piece. just a small detail, that many make the mistake of, but the valkyries are actaully not the ones bringing people to Valhalla. They select those brave enough to become the soldiers of the gods, true, but once these warriros are brought to Asgård they are devided between Odin and Freya (and Freya has first pick according to some sources). sources for this info is, amongst other, the poetic edda (the song of grimner, verse 14).